Blend of carrot powder, tomato powder and rose hip powder. Ecological agriculture. Blend of ecological fruits, berries, and roots in powder. From ecological agriculture. Blend of ecological fruits, plants, roots in powder. Suitable for vegans and vegetarians. Rose Hip powder. Product from ecological agriculture. Suitable for vegans and vegetarians. Musk Rose body oil. Not tested on animals. Oil for all types of skin. 100% Biological musk rose oil, easy to use thanks to its spray dispenser. Regenerating body oil made of 100% vegetable musk rose, perfect for all types of skin. Vitamin C with Rose Hip. 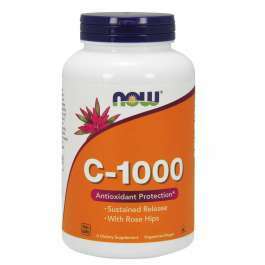 It provides 500mg of vitamin C per serving. Shea Butter with Musk rose, argan, and Marigold to take care of your whole body. Revitalizing musk rose oil for all kinds of skin. Rose hip, acerola and maqui powder. With 24mg of vitamin C per serving. Una vitamina muy lograda, la inclusión de Bioflavonoides y escaramujo es un plus. Es un gran producto. Rose hip is also known as the fruit of eternal youth due to its many nutritional properties. This is why it is commonly used in a lot of cosmetic products. There are many studies about the properties of rose hip in general, but it stands outs especially in skin care: rejuvenating or anti-wrinkles effects. You can purchase products made from rose hip fruits in parapharmacies, herbalist's shops or specialized stores like HSN. Check the different formats that are available in our complete catalog: capsules, oil, creams, powder, etc; ready for immediate dispatch. 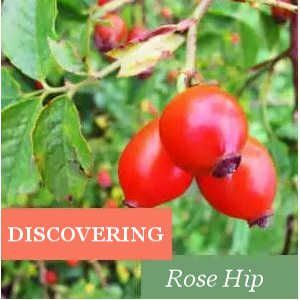 Rose Hip, which is scientifically called Rosa eglanteria or Rosa rubiginosa, is a plant species with remarkable properties and medicinal benefits for our health. This fact is supported by its long history as an active principle used with therapeutic purposes specially in popular medicine. It has been traditionally used to treat skin disorders, such as wrinkles, scars, skin patches and the effects of aging.